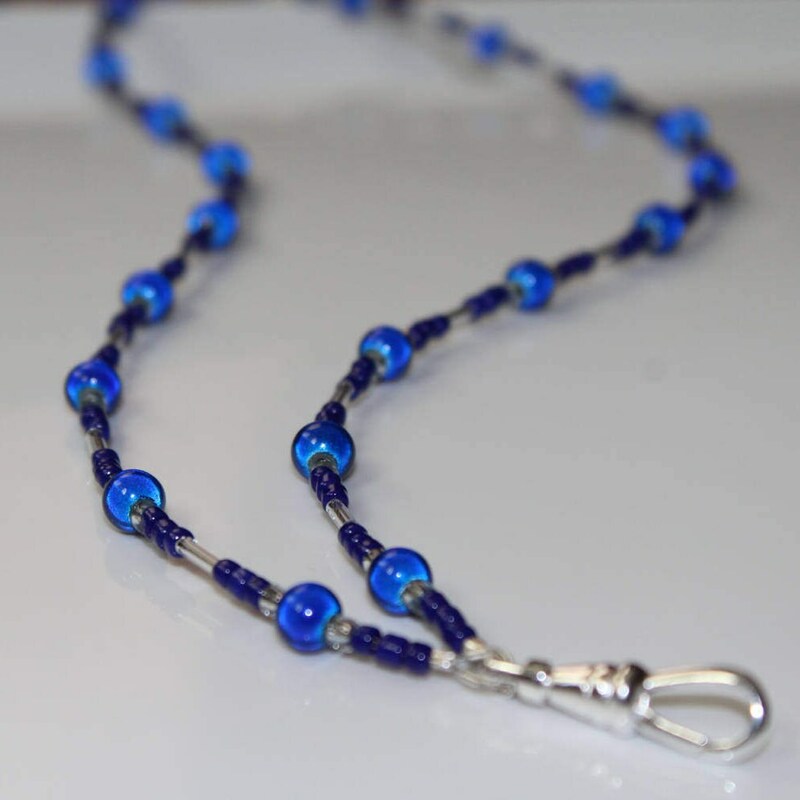 Hold your ID Badge in style, with this simple, yet pretty, blue beaded lanyard. Have that badge at your fingertips all day, when you wear it around your neck. 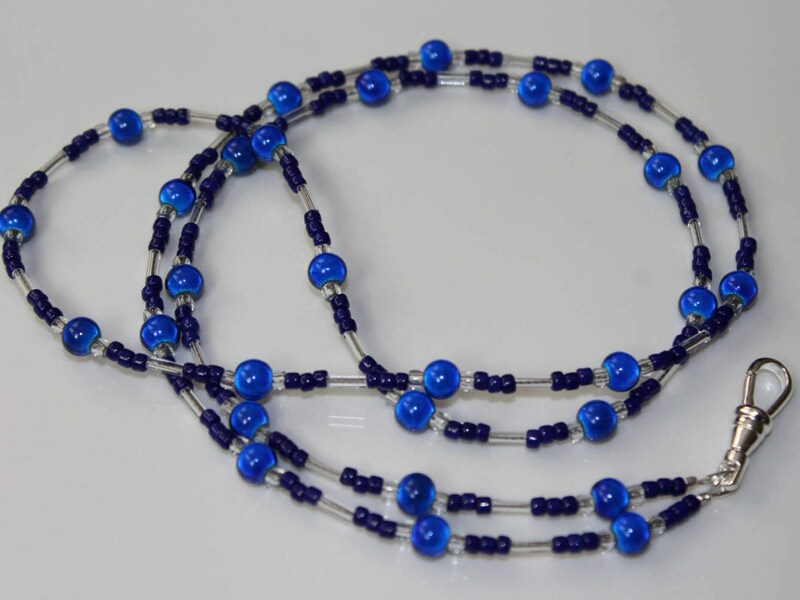 This beaded lanyard looks more like a necklace or accessory, than anything. 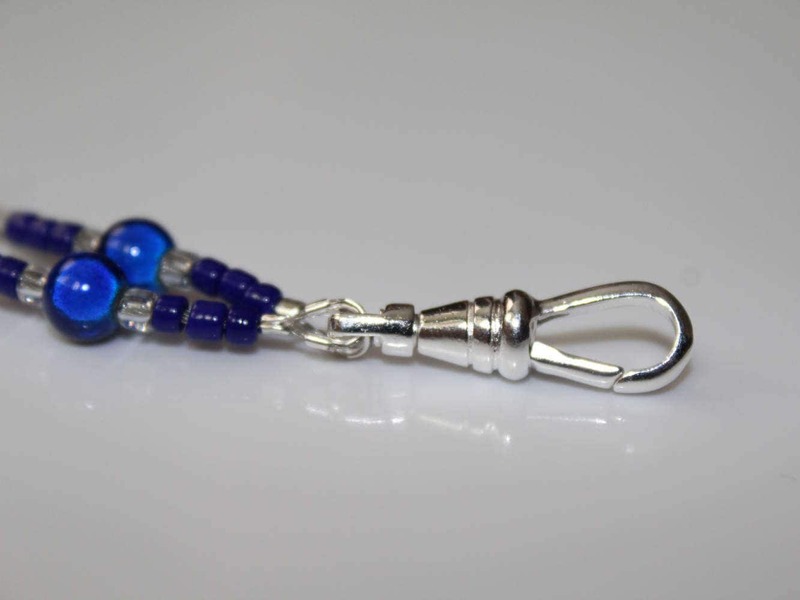 It has a pretty silver swivel clip at the end (last picture). The swivel feature allows you to easily turn your badge so you don't have fumble with it if it's backwards. The entire chain is approximately 34 inches long. 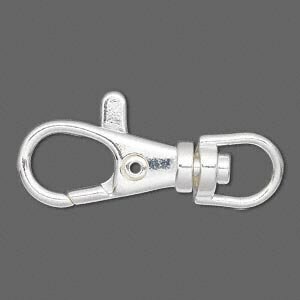 Please note: The last picture shows a silver lobster claw clasp. If you'd prefer this type of holder at the end, please let me know in the notes section of your order. 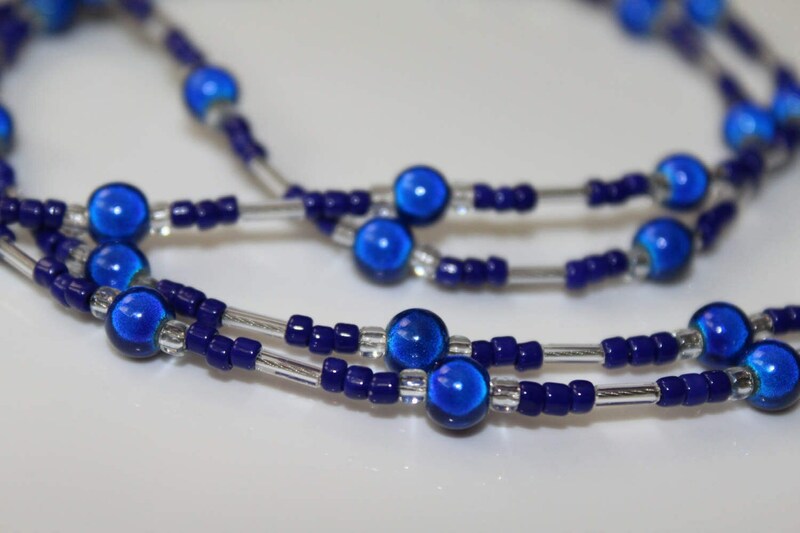 This design is an original creation by Michele of MichelesAManoDesigns. 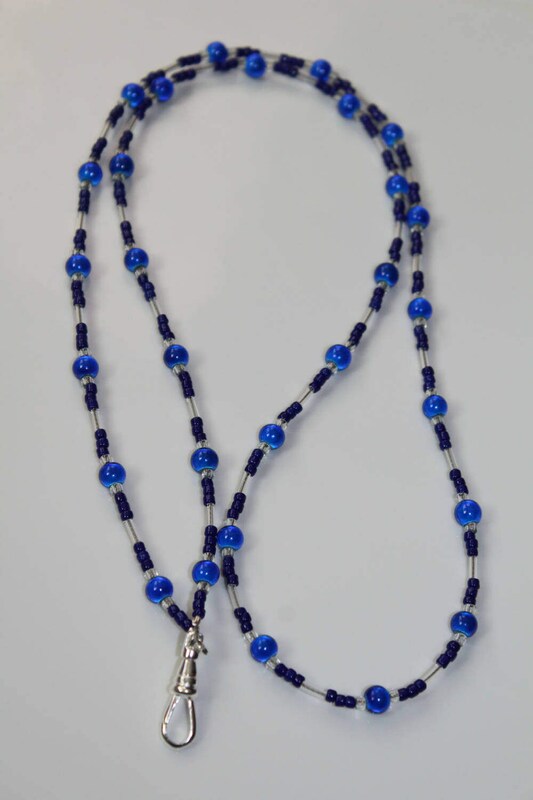 This Lanyard comes in a box and is ready for gift giving.